Get a head start on the next snow day by contacting us for all of your ice and snow removal needs. We have been working throughout New Milford to provide businesses with the most responsive and efficient ice and snow removal services in the area. For years, our expertly trained staff has been providing services for businesses throughout New Milford and we hope to do the same for you. The only thing standing in between your property and a perfectly shoveled sidewalk, driveway or parking lot is one simple phone call that you have to make to us. 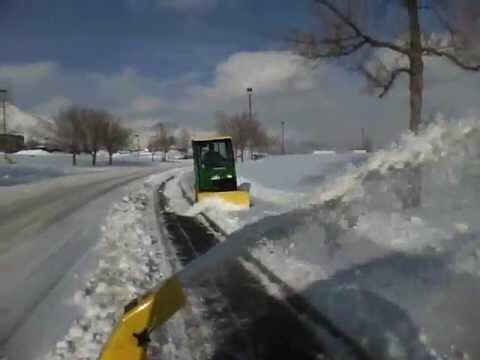 We provide services that will accommodate all of your snow removal needs. From driveways and parking lots, two sidewalks and roofs, we can clear all parts of your property from snow and ice using our trained staff and state-of-the-art equipment. We can bring our plow trucks to clear out your driveway so that you can get your car in and out as you need to and go about your day as you normally would. Whether your car is stuck in your garage or outside in your driveway, we will be able to plow a pathway and shovel your car out of the snow. If you try to free up your car on your own, it can take hours. This is because you lack the required manpower to do it quickly. You also may be lacking the appropriate tools. We will show up with the right amount of employees and tools that we need to free your car up quickly. In many cases, especially after heavy snowfall, it is quicker to call us to come out to clear out your car in your driveway than it is to even attempt to do it yourself. By contacting us, you will not only make things a lot easier for yourself, you will also free up a lot of time that you can spend on more important things throughout your day. Whether you own a commercial property or a house, you will be held responsible for keeping your sidewalk clear of snow and ice. People that are walking by your front sidewalk should be able to get through it without having to walk over snow or slip on any ice. Although this is a major inconvenience, this is something that we all must do. Unfortunately, we don’t all have the time to spend hours outside shoveling our sidewalks. This is where a service like ours can help. No matter how long or wide your sidewalk is, we will be able to send out our labors to clear the snow and ice from it completely. Using our snow blowers and shovels, we can remove all the snow from the sidewalk. We can also lay salt down to prevent ice from forming when it drops below freezing temperatures at night.